The M&A Advisor has named Anshu S. K. Pasricha as one of their 2017 “Emerging Leaders,” which recognizes his significant level of success before the age of 40 as a legal advisor in the M&A industry in the United States. An independent panel of distinguished business leaders chose the winners from a pool of prominent nominees. Anshu has closed over 60 deals both domestically and internationally for companies such as McCarthy Capital, Panorama Point Partners, Tenex Capital Management, Midwest Medical Transport, Guild Mortgage Company, Cabela’s Incorporated, ACI Worldwide, BSN medical GmbH, John Bean Technologies Corporation, Eisai Corp., Mitsui & Co., and Philips N.V.
Aside from managing a vigorous pace with client work, Anshu is active in the American Bar Association’s Mergers & Acquisitions Committee through his work as a volunteer on the Private Target Merger Agreement Task Force and as an issue group leader on the Deal Points Study on Carveout Transactions. Anshu regularly contributes thought leadership at conferences and by publishing for trade magazines including Association of Corporate Counsel’s Docket!, Financier Worldwide, Today’s General Counsel, and Corporate Live Wire. He speaks regularly with clients’ corporate development personnel on topics such as what’s market, structuring issues, and strategic positioning in transactions. Anshu is a member of Nebraska Angels, and is a volunteer on the United Way of the Midlands Community Investment Review Team. 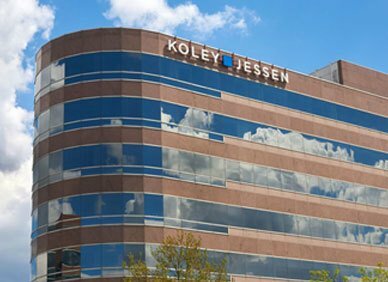 Anshu is a Shareholder at Koley Jessen and his pragmatic and commercially reasonable approach to negotiating transactions has helped him build a broad, multidisciplinary practice counseling private equity funds, strategic acquirers and closely held businesses. His clients rely on him for advice on domestic and international mergers and acquisitions (control and growth equity investments), joint ventures and partnerships, divestitures, and general corporate matters. Anshu also acts as outside general counsel to several clients, providing general oversight of legal affairs as well as strategic guidance to c-suite officers, boards and founders.